I have one of the small once. My darling is from 1968 and have original parts only (except from the tiers). thanks for the information. i will check the speeds out. is yours a dbs, as well? i think everything is original on mine. the grips are a mess, though, so i may have to replace them. where did you get yours? i got mine from some 90 year old woman and have no idea where she got it from. thanks for pointing out the 2 gears to me. i didn’t even know that feature was there. so great that it has the hand break, too. Yep, love the 2 speeds, found that out after hitting the brakes. I will check out if mine has the seat logo and any other similar features. I live in Norway, so maybe not so strange for me finding this beauty. Didn’t cost a kroner either.. Sorry, i forgot to check back for new posts. And I did not get a new reminder though my ‘dbs kombi’ Google Alert. Yes, my one to is a DBS, but i do not have all the original stickers on it. 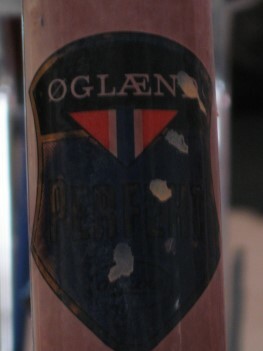 The spring is comming up here in Oslo these days, so it’s soon time to fresh the bike up and hit the wheel. i have the exact same bike as you! it was sitting around in my grandparents’ shed, and i just took it out and cleaned it up. really matt! no, the light doesn’t light. i just thought it was a reflector. I am looking for tires and tubes for my DBS Kombi tamdem? I would apprectiate any help! i have 2 kinds of that bike do you whant lux or perfekt? I just picked up a Kombi from a friend. 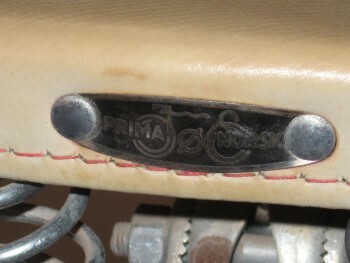 A green one with the 2-speed kickback and a ladybug logo. It needs some parts. I’m really looking forward to getting it on the road. Does anybody knows how much they are worth? I have two of these. Bought them from LL Bean in 1973 I think. Still have both of them and they are almost mint condition and a blast. Great for packing into the car (two pieces). Bombproof. Me to like to have a DBS Kombi. 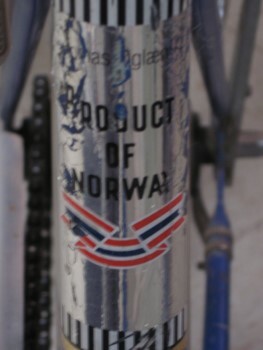 I am here in Norway,(Namsos) and i will be happy if any one can help me to get 1 or 2 of that type of bike. there are a couple kombi groups on facebook. you may want to contact some of those members, tore, as many appear to be in europe. I have a DBS Kombi Lux folder, that I bought in absolute original state, (inner tubes and all). Just a short tip. Lift of the entire seat post and see if you still got the mini air pump that came with the bike. 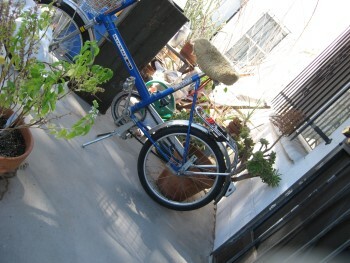 Hi i have one og the new dbs combi bilkes with chimano Four speed and i love it. @tyson garrett, i went to an independent cycle shop in my town and they had to special order the tires from me. not sure where, but it didn’t take them long to get them. that was in u.s.a. though.